PROJECTIVES offers visitors the opportunity to engage in a custom-made videogame based on Renaissance perspective drawings. The game is a 4-player local multiplayer game, with each participant controlling a different viewpoint. One player operates in perspective, another in plan, one in elevation and the last wandering a gallery of flat images. Each player moves through an environment inspired by the Renaissance perspective studies of Hans Vredeman de Vries. Together they must combine their viewpoints to assemble a perfectly aligned perspectival representation of a room. 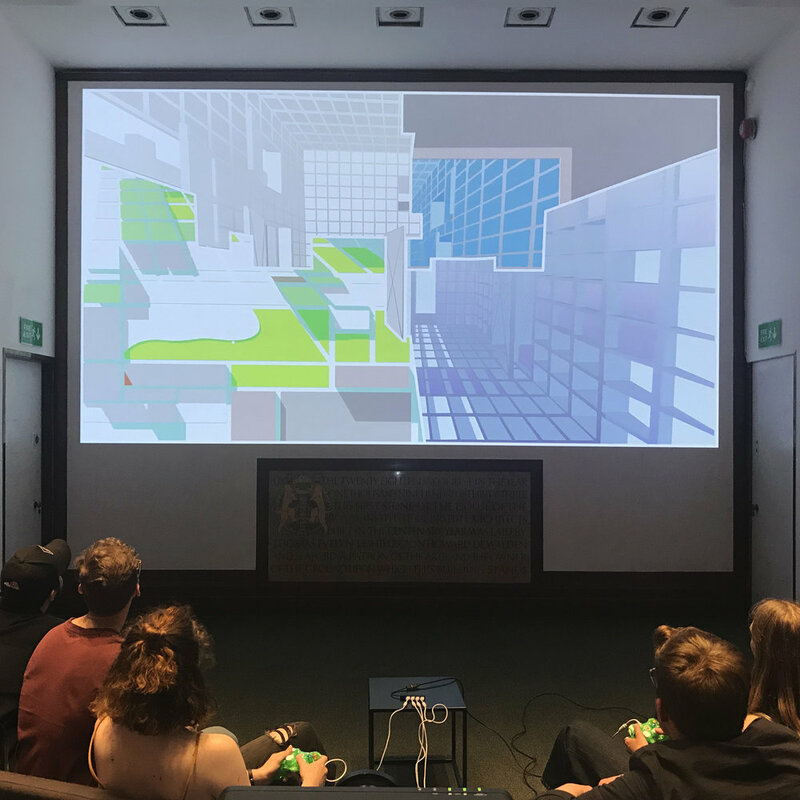 The videogame was commissioned as part of the public programme accompanying the exhibition 'Disappear Here: On perspective and other kinds of space' at the Royal Institute of British Architects. We discussed our design methodology behind the project at a lecture entitled 'Perspectives on Post Digital Drawing', alongside OMMX, False Mirror Office and Fala Atelier, chaired by Sam Jacob.